An important part of our mission is working to get everyone who qualifies enrolled in and able to use their health insurance. In January of 2015, a pilot program was started to provide health insurance enrollment services and outreach to families qualified for Medicaid, or in Oregon, Oregon Health Plan (OHP). Three months in, the pilot program had helped over 3,000 people apply for Medicaid. The pilot eventually became the Outreach, Enrollment, and Access program (OEA), which enrolls more families in Medicaid and Health Insurance Marketplace plans than any other enrollment organization in Oregon. 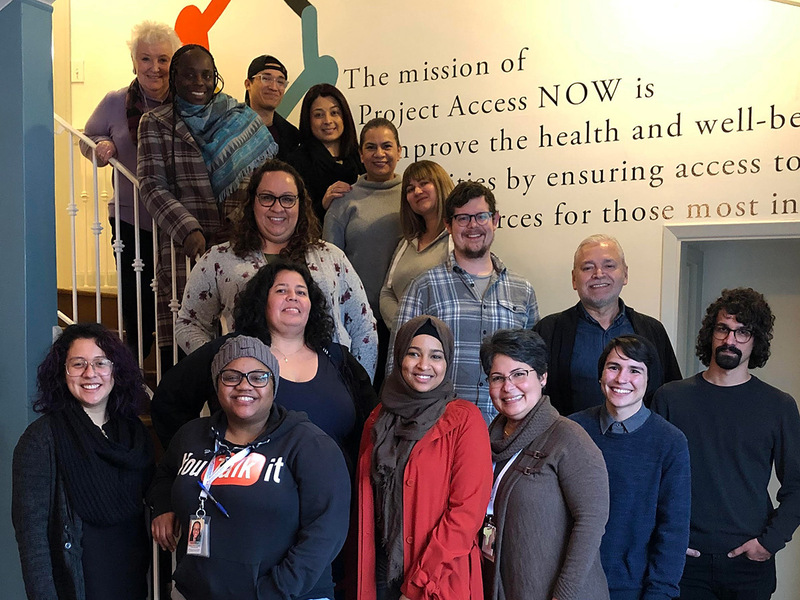 Health insurance can be difficult to navigate, which is why the OEA team put a special focus on low-income people who may not realize they qualify for health insurance, face too many barriers to sign up without help, or in many cases, both. The OEA team of certified application assisters helps families and individuals enroll in Oregon Health Plan and Health Insurance Marketplace plans at multiple sites in Clackamas, Multnomah, Washington and Yamhill counties. Assistance doesn’t stop once the application is submitted. The OEA team also guides applicants in using their benefits and staying covered. Since its inception, the Outreach, Enrollment, and Access Program has assisted over 50,000 households in applying for health insurance through Oregon Health Plan and the Federal Marketplace. To assure that people can actually use the coverage they have, we’re also proud to offer health literacy and navigation services. In 2017, we served 573 households and 770 individuals; in the first six months of 2018, the programs has served 599 households and 770 individuals, leveraging tax credits to offset the premium costs and often writing off the remaining balances. While the need for this service still far exceeds the help we’re able to provide, every single individual and household we’re able to serve is one less person who won’t be forced to make the awful decision between paying their premiums and paying for groceries or rent.